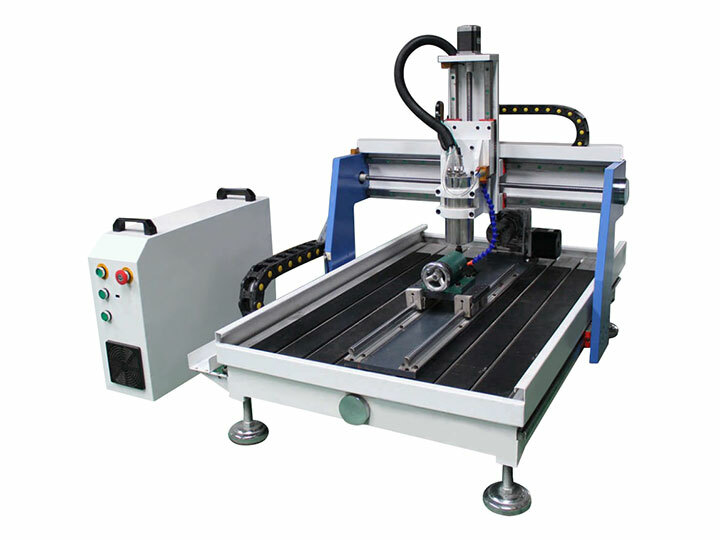 Mini Desktop CNC Router with 4th axis rotary table is designed for for craftsman, home shop, home business, small shop, small business, advertising, arts&crafts, sign making and mold making, now the best desktop CNC router for sale with affordable price. 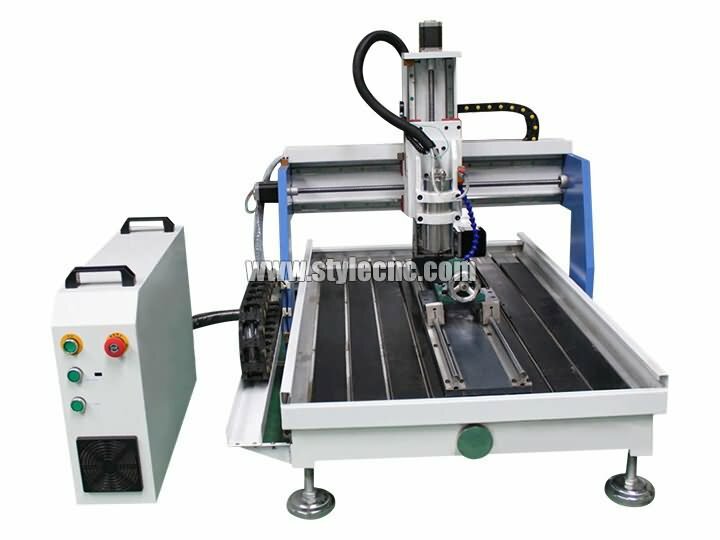 STG6090 Desktop CNC router is a mini CNC router machine for small business, home business, small shop, home shop and craftsman, the desktop CNC router is equipped with a 4th axis rotary table for 3D carving. The 4th axis desktop CNC router adopts Mach3 or advanced DSP numerical control system and large liquid crystal display brings out much convenient operation and simpler maintenance. 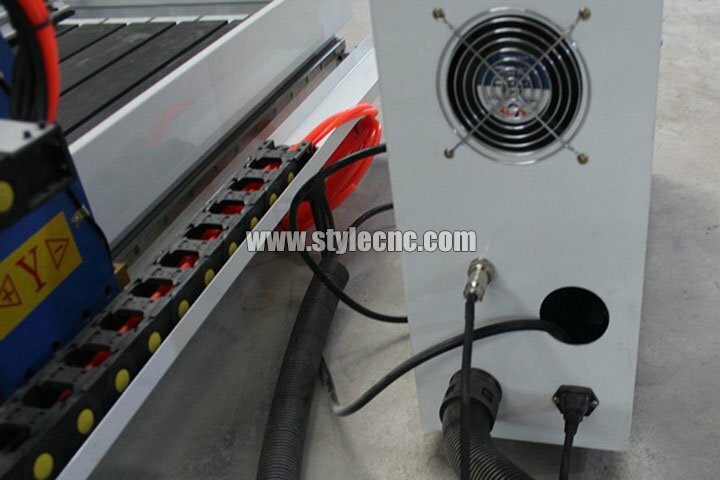 The desktop CNC router adopts Large internal memory of 32M is enough to simultaneously store more than 30 processing files which can be read freely. 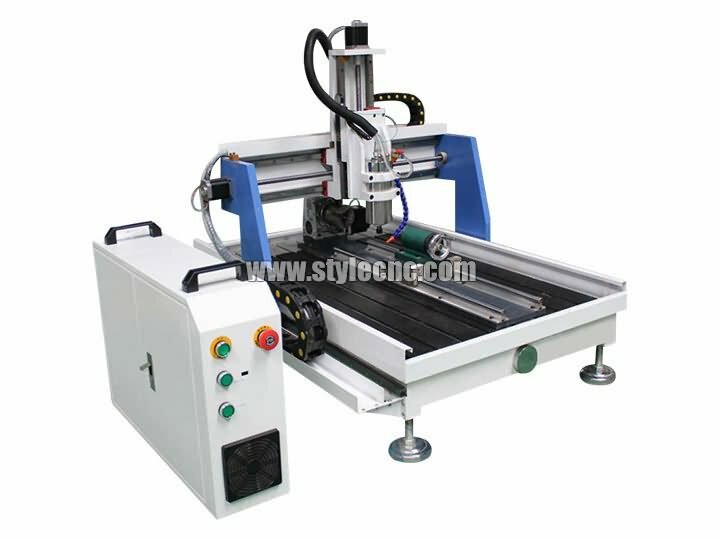 The 4th axis CNC router adopts USB interface (plug and play) to communicate with computer under the system of Windows, which can instantly complete transmission. Internationalized directives ensure that it is compatible with CAD/CAM software like Type3, Artcam, Castmate, Proe, UG, Artcut from home and abroad. 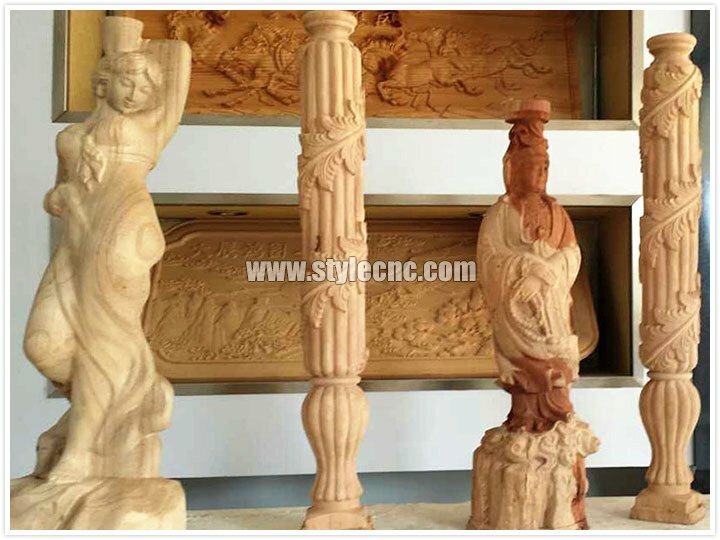 The desktop CNC router is able to continue engraving when the electricity is cut off or the tool is broken. Intelligent control of spindle makes the desktop CNC router able to auto-start and auto-stop, which is more safely, convenient and power-saving. 1. Working size is 600*900*200mm(Z axis can be higher as your request). 2. 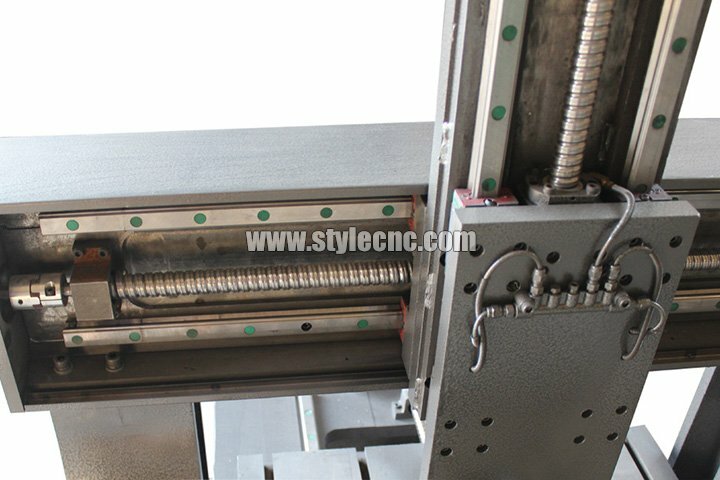 T-Slot aluminum profile with PVC sheet work platform. 3. 1.5KW water cooling spindle. 4. Stepper motor and drivers. 5. HIWIN square linear guide rail, imported ball screw transmission. 6. Mach3 control system(can be changed to NC-Studio, DSP control system). 7. Appliable for many software: Wentai, Artcam, Type3. 8. 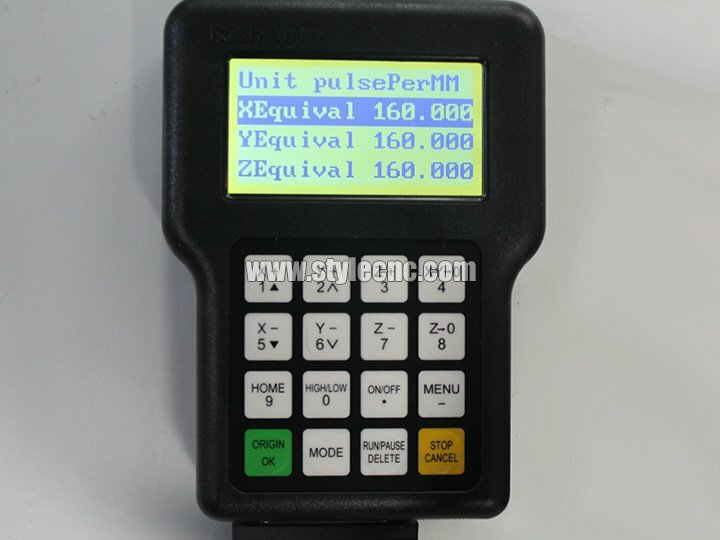 Option: the rotary device, DSP control, Dust collector, Vacuum table, etc. 1. 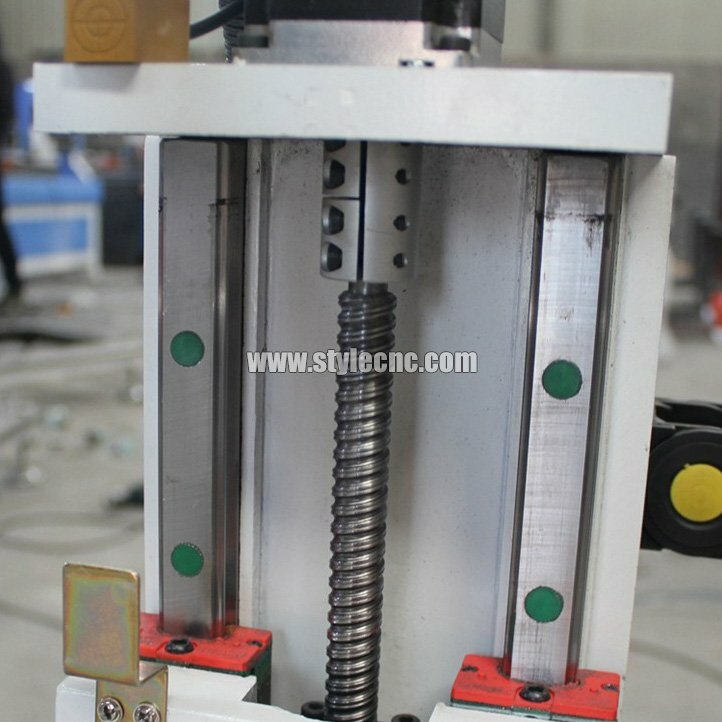 The gantry move stable and the ball screw with high precision. 2. 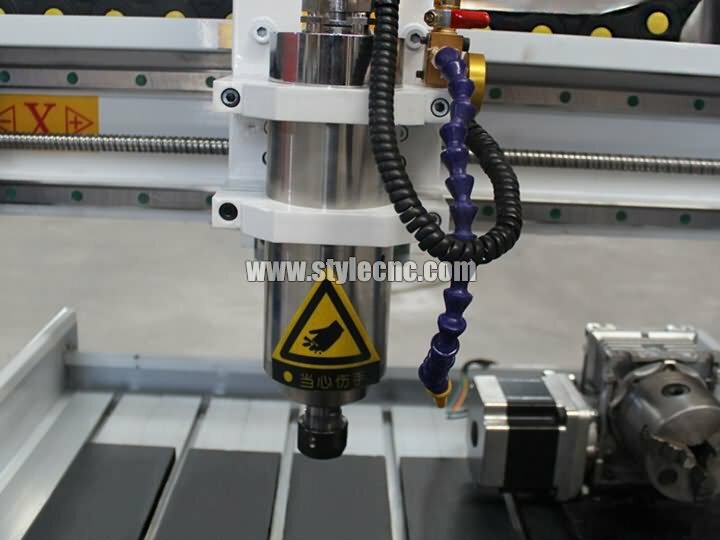 The Desktop CNC router adopts water-cooling spindle, suitable for all kinds material (metal ,non-metal,stone ). The water cooling spindle adopts water cycle to cooling the spindle, so the cooling effect is very good, almost no noise and long life time. 3. Tool calibration sensor allows easy and accurate "Z" zero position for single and multiple tool changes through the program. 4. Guide rail: We adopt Taiwan Hiwin square rails(the world famous rail and guide manufacturer), self-lubricating sliding block. 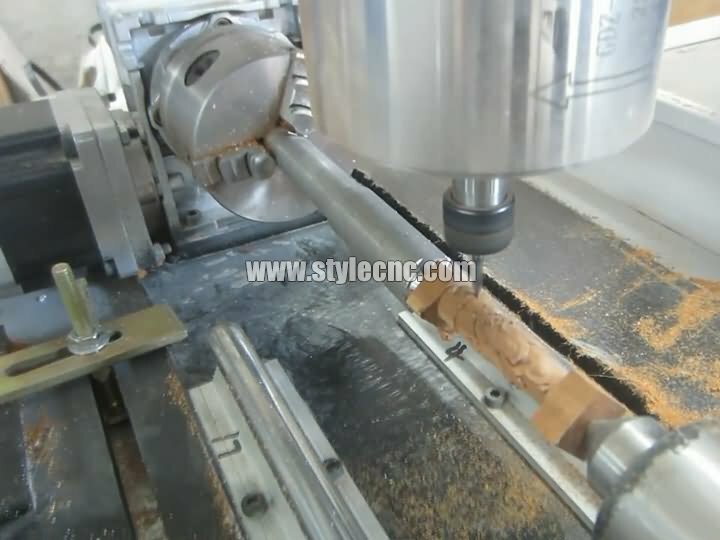 This ensures equal force in all directions and accuracy and strength of the 4th axis CNC router machine. 5. 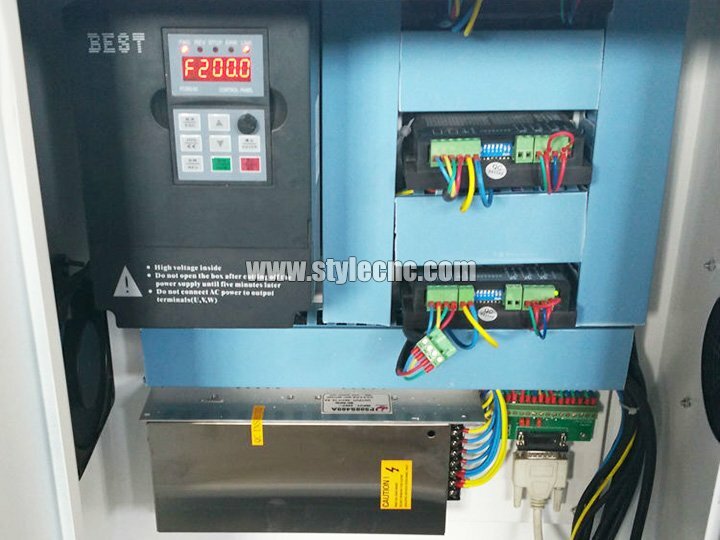 Each wire we have different mark, if the 4th axis CNC router machine goes wrong, you can quickly find the problem and resolve it. 6. The control cabinet handle is humanized design, it is convenient for you to move. Advertising industry: signs, logos, letters, gifts, texts mould, trademark, etc. 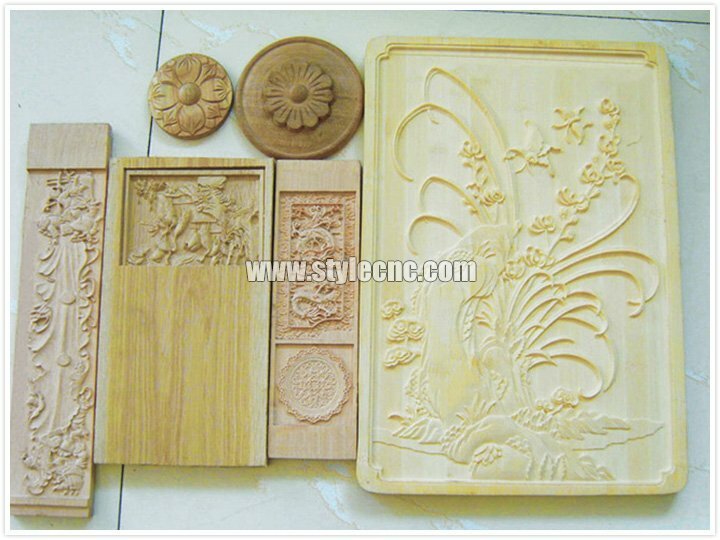 Mold Making: Building models, physical models, hot stamping mould, trace injection mould, shoes mold, badges, embossed mold, biscuit, chocolate candy mold, etc. 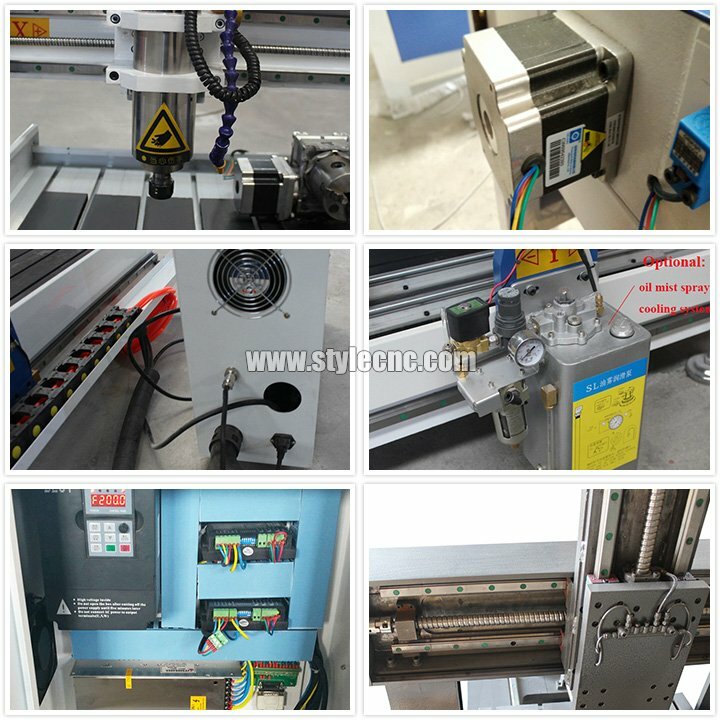 The 4th axis CNC router can be used for wood, acrylic, double color boards, PVC, ABS, aluminum composite panels and soft metals, etc. 1. One year quality guaranty, the machine with main parts(excluding the consumables) shall be changed free of charge if there is any problem during the warranty period. 6. The desktop CNC router has been adjusted before delivery. 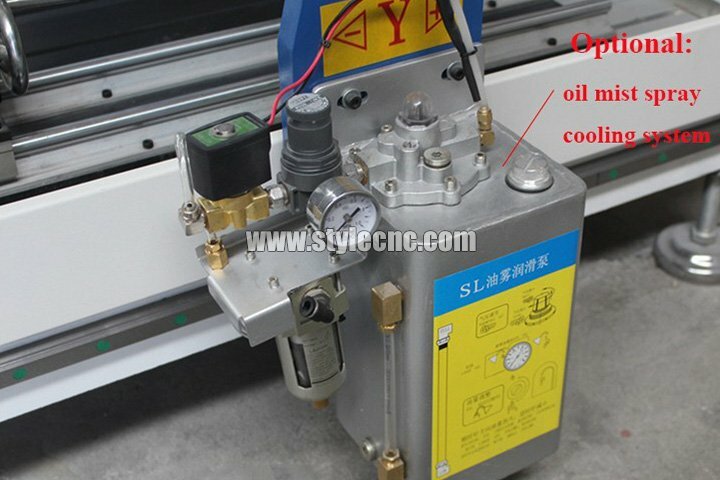 License: The text of "Mini Desktop CNC Router with 4th axis rotary table" by STYLECNC is licensed under a Creative Commons Attribution 4.0 International License. I personally love this CNC router table. Fits my CNC router perfectly. I get amazingly clean and controlled cuts and really love the router's ability. Great buy. I would buy again. This is my first CNC router machine so I can't really do any meaningful comparison. What I can say is that it exceeded my expectations. Machine seems very nice and I'm not having any problem getting 0.01mm or better accuracy when under load. Instructions / software is included on a CD. I am very satisfied with STYLECNC. 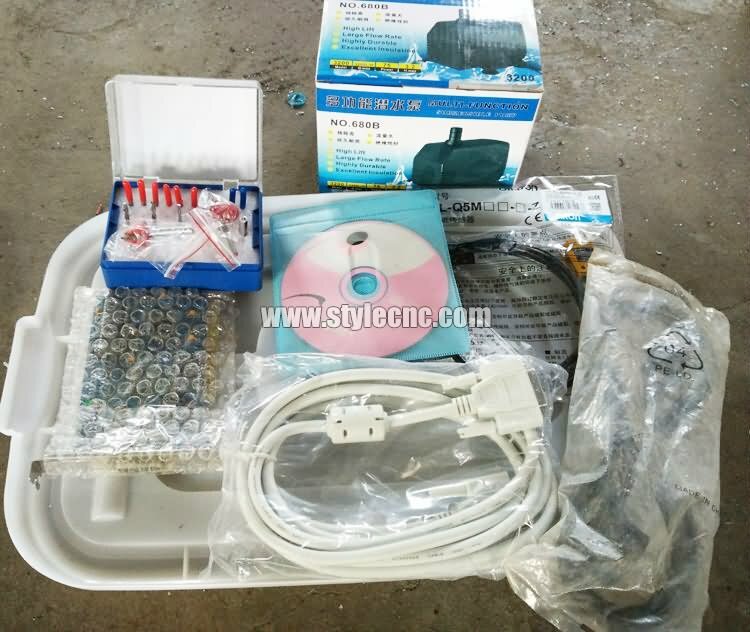 This is my second order from STYLECNC, the manufacturer's after-sale service and cnc machine quality is good. 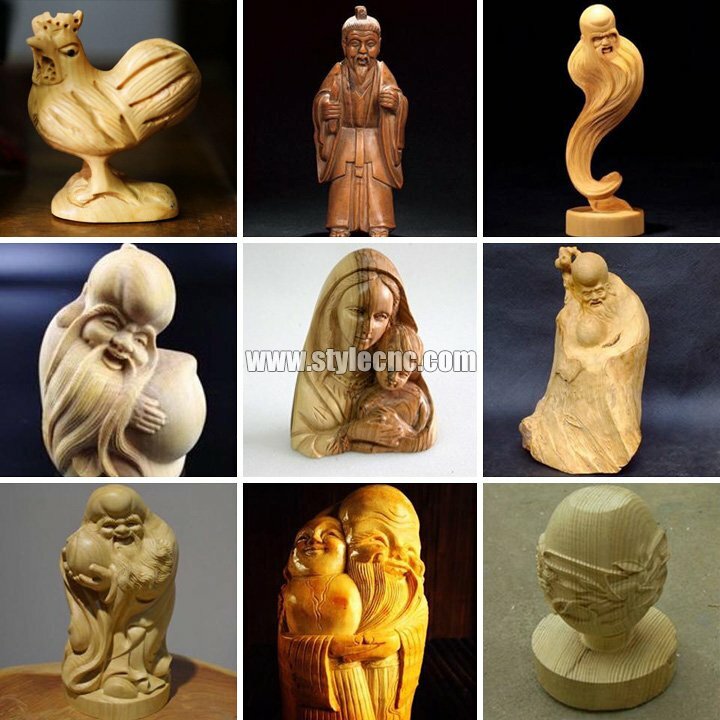 The desktop CNC router machine's speed and carving quality is perfect, I like it.